I love sharks. They are majestic and inspiring. I saw a great white while diving on the Great Barrier Reef but it was (luckily) far away. 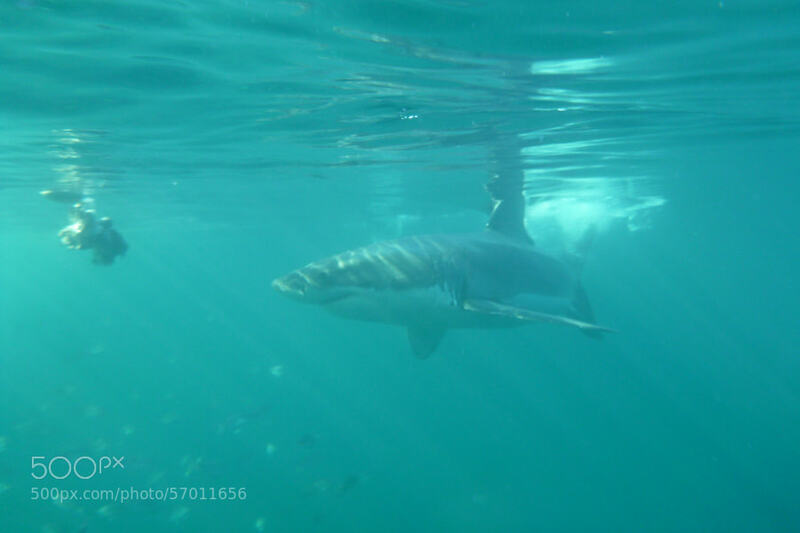 In June 2013, we went to South Africa and took the opportunity to see sharks in Shark Alley. I hope our underwater photos capture some of the awe we felt during this experience. It was difficult to take photos because we were often just awe-struck. I like this photo because you can see the tail movement, the little fish, and the sun streaming into the water. Shark approaching a chum ball. Great pictures but who is the idiot with her fingers outside the cage in photo #5?